Fence pictures above are of this design in #2 cedar lumber. 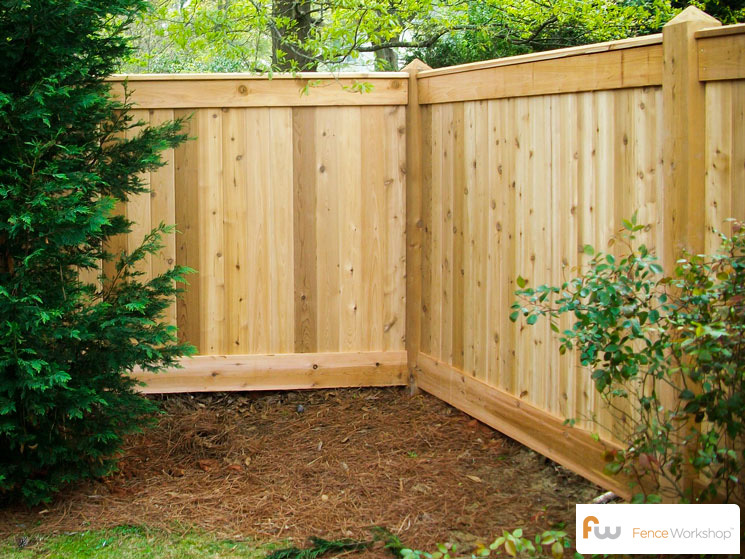 This Custom CEDAR privacy fence design is fully constructed with Western Red CEDAR lumber. This fence uses concreted 6×6 protected CEDAR posts exposed with chamfered top, CEDAR 1×6 top fascia boards, CEDAR 1×8 bottom fascia boards, 6″ tongue and groove CEDAR pickets, 2×4 custom beveled CEDAR top cap board. -CEDAR 6×6 concreted fence post with chamfered tops.